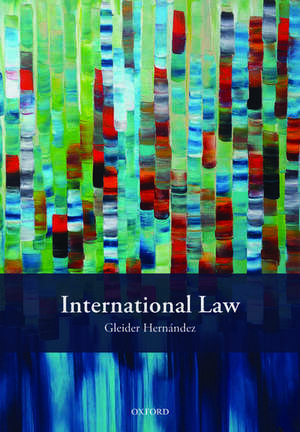 This is the international law textbook that we have been missing. Rigorous, authoritative and contemporary; bringing international law alive without sacrificing doctrine and precision. Impressive, comprehensive, extremely well written and engaging, using special features to spur further understanding of context, case law and critical thinking. An outstanding contribution to international legal scholarship. The analysis is highly contextualised with vivid examples drawn from historical or contemporary state and judicial practices. Delivering a comprehensive introduction that is both accessible and engaging, this text will surely entice new students to dig deeper into the subject. Gleider Hernández is Professor of Public International Law, Katholieke Universiteit Leuven and Open Universiteit Nederland. Previously, he was Associate Professor (Reader) in Public International Law at Durham Law School and founding Deputy Director of the Durham Global Policy Institute. He is also General Editor of Oxford Reports on International Courts of General Jurisdiction (Oxford Scholarship Online), and the author of The International Courtof Justice and the Judicial Function (Oxford University Press), which was shortlisted for the 2014 Peter Birks Prize.